Are you in need of the Tapestry Treatment? Ready for a Halloween Makeover? We're offering the opportunity to have your image transformed this Halloween using the magic of post production! No dressing up or props required, just a simple image of either you or your colleague is required. 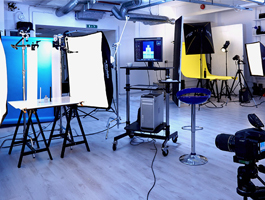 We'd love for you to come to our studios in Soho to have an image taken by our photography team, but you could send in a high res image for us to work on if you would prefer. 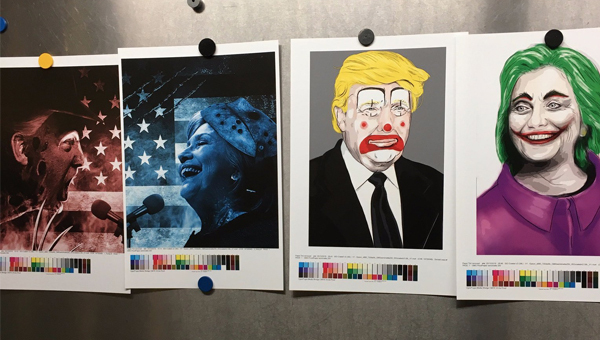 Last year we transformed Donald Trump and Hilary Clinton even more so into stuff that nightmares are made of, and this year we want to transform one of you. So all you need to do is enter the competition and we'll be in touch on the 20th October if you're lucky. Not only this, but once you enter you're also in for the chance to win a £75 Selfridges Voucher! What have you got to lose? The winner will be drawn on the 20th October and contacted to arrange a time to visit our studio. This will be scheduled in for the 23rd or 24th October, so please be sure you have a slot free on one of these days. Once our team has worked their magic, we'll deliver high quality prints to you on the 31st October along with a digital copy for you to distribute however you choose. ...and a £75 Selfridges voucher! 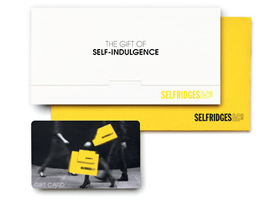 To top it off you'll also be rewarded a £75 Selfridges Voucher which will be hand delivered to you when you receive the prints and digital copy. Yourself and come in to our studio for a quick photoshoot. Yourself and a colleague to come to our studio. 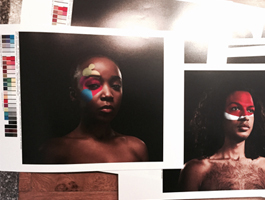 A colleague: Have them come in to our studios for the shoot. A colleague as a surprise: If you have a high res image that you think could work well for this then we can provide the Tapestry Treatment as a surprise. If you're unable to come to our studios or provide a high res image, we can discuss the possibility of us coming to your workplace to take some images there. If you nominate a colleague and provide us with an image then you are granting us the permission to use the photo on their behalf. By entering the competition you are allowing us to use the details you've provided to store and contact you. Competition deadline ends 20th October.